Thanks for tuning in to a very special Artist Spotlight with Ryan Neil. First of all a huge thanks goes to Ryan for finding some time between caring for his 800+ babies (trees) and his 1 new baby (son), to answer all my questions. If you’re in the area you can catch Ryan (or me for that matter) next weekend at the Rendezvous. If not, head over to Bonsai Mirai and see all his amazing garden has to offer. How did you get started with bonsai? probably a signiﬁcant saving grace for me personally at the time. How did you decide/ how did you come to the opportunity of working with bonsai in Japan? How did you decide who you wanted to apprentice under? searching and self study, I continued to see the inspirational works of Mr. Kimura. simply a matter of ﬁnding a way into his garden. 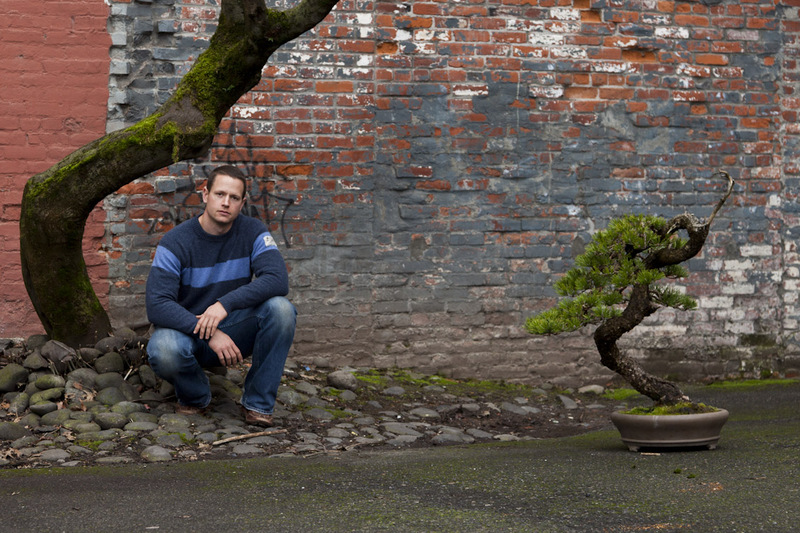 What was the most challenging thing you had to do during your apprenticeship or bonsai career in general? do every day is keep doing. What was the most rewarding experience you’ve had so far? Marrying my wife and having our son together trumps any bonsai accomplishment I’ve ever experienced. It’s given new meaning to why I do bonsai and what it means to me. If we’re speaking simply about bonsai, however, the creation of Bonsai Mirai, my garden, and it’s 800+ inhabitants (bonsai trees), has been the most challenging and rewarding bonsai-related endeavor I’ve applied myself to. of bonsai for me personally. I noticed you’ll be teaching this summer at the Brussel’s Bonsai Rendezvous, are there any other “tour dates” you have planned in the coming year? students who come to Mirai to learn the way we do bonsai here. Are there any particular topics of focus during your teaching in the U.S.? Perhaps subjects that you feel the American bonsai culture is weak on? this is a focus of my instruction as I teach. I think we’ve all been following the progression of planning for the Artisan’s Cup and Portland Bonsai Village, any updates or info you’d like to share about your work on those projects? What is your favorite species? Either to work with or just to view? most identiﬁable affection for bonsai when I’m working on a ponderosa pine. tremendous sense of “home.” They make pretty good bonsai, too. Is there a species you dislike? I’m really not a fan of red pine. They always need just a little bit more of a bend. Is there something or maybe a few typical things that you ﬁnd people in general have the wrong instruction on? we often mishandle our trees and material for reasons we’re largely unaware of. Are there any particularly helpful techniques that you think most people in the U.S. don’t practice, but would be especially beneﬁcial? Proper watering, proper repotting, proper wiring. These are just a few. Is there anything about yourself or bonsai in general we haven’t touched on that you’d like to talk about? community, if that were the case. ~Thank you again Ryan and family! Great interview Dylan. See you next week! Thanks Ryan, looking forward to it! Dylan, it was great meeting you this weekend at Rendezvous. Great post and I look forward to more. Have a good one. Dylan, it was great to meet you this weekend at Rendezvous. Great post and I look forward to reading more. Have a good one. Hey man you too! I’ll do my best to keep the info coming.